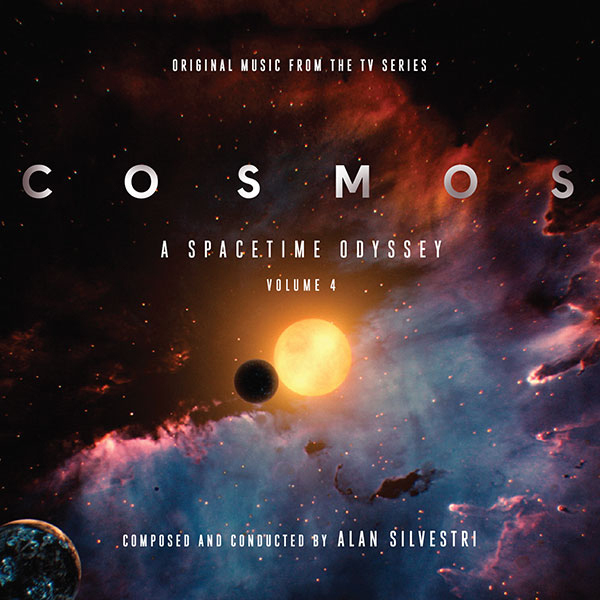 Intrada concludes its series featuring Alan Silvestri's music from the 2014 series COSMOS: A SpaceTime Odyssey with this fourth volume. Bringing the music to a breathtaking finale, Silvestri expands upon the music from the previous volumes with what is perhaps the strongest of the four volumes. The themes are familiar, but are developed to cover such expansive topics as the speed of light, the observable universe and black holes -- science more amazing than any fiction one could come up with. As with the first three volumes, Silvestri's music is gloriously symphonic, with some modern synth-based rhythms. Intrada presents this fourth visit to the Cosmos universe, produced by the composer, including additional bonus tracks not previously released. The colorful packaging continues offering a generous dose of computer-generated images, animation stills and photographs like the previous volumes and brings this four-volume journey through Silvestri's musical odyssey to a dramatic and inspiring close.